Can you believe it’s already December again? I can’t stop thinking about how fast everything blew by! My 2017 blogging year was pretty darn good. It was full of new friends, fantastic reads, and good conversation. It also led up to my favorite post to create -The Birdie Awards! It’s hard to choose one book per category, especially unbiased. For instance, The King’s Men was probably my favorite read of 2017 but objectively it can’t be Book of the Year because it was far too problematic. It’s hard to set aside emotion. 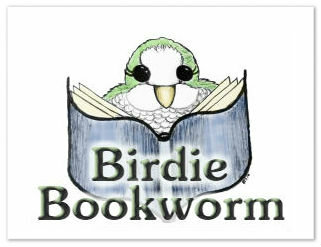 Welcome to the second annual Birdie Book Awards! Nevernight has it all. 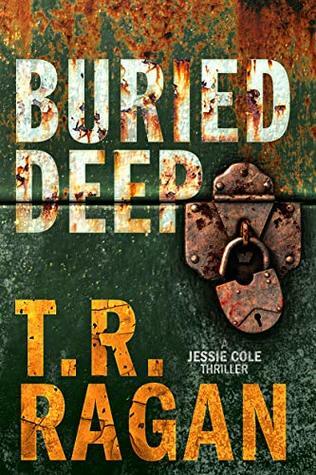 It’s got a fast paced, intricate, and engrossing plot set amidst a world that’s so detailed the book requires footnotes! (Funny and sarcastic footnotes, but still.) It has a large cast of original characters, each with their own unique histories. And it has Daemons in the form of shadow creatures! My daughter and I both agree, we want a Mister Kindly of our own! It’s clear that Jay Kristoff knows exactly how to write fantasy. I am a fan! The Best Urban Fantasy category was a hard one. In this genre, Ilona Andrews is iconic. The reason I’m giving the Best UF award to Skin After Skin is because, when it comes to originality, Jordan Castillo Price blows other series away. There’s nothing else out there like the PsyCop series. Then, when you add Crash’s sarcastic voice and his backstory, which fans of this series have been waiting for, you have a clear winner! Last year I had Emmet Washington in the Best Character category, and he still could be. They could also be in the cutest couple category. Instead, I chose Shelter the Sea for Best Contemporary because it’s about more than the love between Emmet and Jeremey. It’s about the fight for those with disabilities to be treated equal, and to be afforded the same protections. It was Emmet and Jeremey’s battle to save their home. It was the best contemporary I read this year. It felt like it was. It felt important. Living in this town is suffocating in so many ways. Autoboyography was one of those books that I just knew was going to be fantastic. The moment I read it was about two boys falling in love, one of them Mormon, I had to have it. Honestly, it was just as fantastic as it sounds. Not only was the chemistry between Tanner and Sebastian tangible, the angst their relationship caused Sebastian was too. Autoboyography was written with compassion and honesty. It’s a perfect YA read. When I pick up a historical novel one of the first things I notice is whether or not the story feels historical. I want the cadence of the speech, the backdrop, and the characters to transport me to another time. I even want all the bad stuff we’re glad we don’t have anymore. For this category, I chose The Gentleman’s Guide to Vice and Virtue as the winner. It fit all my criteria for a ‘good’ historical novel, and it was such an adventure! I was prepared to love Cletus’s story more than any other Winston Brother, until I read Beard in Mind. Beau and Shelly were such a perfect couple, it damn near killed me. From the first Winston Brothers book we’ve known Beau is a good man, but reading Beard in Mind we actually saw how phenomenal he truly is. He’s so tender, and so patient with Shelly the reader had no choice but to fall in love. I know I did. Olive Juice utterly wrecked me. TJ Klune writes Love with so much talent, you feel these characters emotions wrapping around you, seeping inside. However, in Olive Juice he also gave us a tragedy like no other. I think, more than any other book on this list, Olive Juice is the one I think about most often. Anytime I’m watching the news, or any time I hear of a missing person I remember David and Phillip’s pain. Our eyes meet. Time stands still for one perfect second. One of the best parts of compiling this list of books for awards is getting to reread all these amazing quotes. How can anyone read that quote and not burst into laughter. It’s so ridiculous, you can’t help but find it amusing. And that’s exactly what reading Good Boy was like. Absolutely ridiculous, and completely compelling. Plus, it has Blake Riley. I love Blake Riley! A Conjuring of Light was, I thought, the perfect ending to a series. Endings are hard. It’s really easy to undershoot, over overshoot, and ruin the whole thing. VE Schwab found the perfect balance in wrapping things up, and leaving room for our imaginations to grow. Plus, she gave us a incredible story arc for Holland, which in and of itself is enough to push A Conjuring of Light into winning the Best Finale. It was fabulous. I’ve already said it, but for me The King’s Men was my favorite read in 2017. The plot stunk, the writing was spastic, but the characters were absolutely brilliant. All of them were, but it was Andrew and Neil that really got to me. Their relationship was all antagonism at first, with glimpses of something deeper, all masking a need for each other. ‘Intense’ is the only word to describe them. The Sins of the Cities series had it all. I chose An Unsuitable Heir to showcase for the award because by the time the third book rolls around we’ve met all the diverse characters. You have Clem who is Indian, Marc who has a disability, and Pen who’s gender fluid, among other minorities. Not only is the series diverse, but it’s written with compassion balanced by authenticity. “I don’t like to judge people. As much as I loved Mia and Lila from Darker Shade of Magic and Godsgrave, I have to give this award to Cletus Winston! I’ve never read a character like him, not in any comedy, and certainly not in any romance. Normally characters like Cletus are comedic relief and not the main character/love interest. Well, I’d almost always pick Cletus over any other romance hero out there. I want an original! I want Cletus! This year’s Book of the Year was harder for me to choose. I had to think critically, because the book I loved most wasn’t actually the best book. You can love a story to pieces and still recognize all the reasons it’s not really the greatest. For Book of the Year I wanted to choose a read that had more than great characters. It also had to have a stellar plot, excellent writing, and a unique world. It needs to have everything. That’s why I’ve chosen Our Dark Duet. Our Dark Duet had two fascinating main characters in August and Kate. The world was unlike anything I’ve ever read before, and as a finale it was perfectly written, making me cry and applaud at the same time. It is my unbiased opinion that, in all categories, it was the best book I read in 2017. I’m not sad to say goodbye to 2017 on a personal level. It was a hard year. Luckily it wasn’t hard when it came to books. 2017 was the year of blogging recommendations, and they didn’t let me down. Oh man, and the thing is for some reason it wasn’t registering as read in 2017 on Goodreads. So I kept scrolling through my books, thinking I knew I read more than two historicals! When I remembered (and fixed the date in Goodreads) I knew it was the winner. Thanks! Its my favorite to put together! It was solo good! It was hard to pick book of the year unbiased. But Our Dark Duet was fantastic all the way around. Finales are hard, because sometimes they don’t live up to the hype. But Conjuring of Light didn’t let us down, and a good ending should be a little melancholy. I ordered the All for the Game trilogy in paperback with some Christmas money. I can’t wait to get them and reread, all for more Neil and Andrew. Glad to see you had so many amazing reads for 2017! Letters to the Lost is on my favorites, too. I can’t wait for More Than We Can Tell! I can’t wait to read The Start of You and Me. aww I love your gravatar and your awards!!! Thank you so much! It’s definitely my favorite to put together.